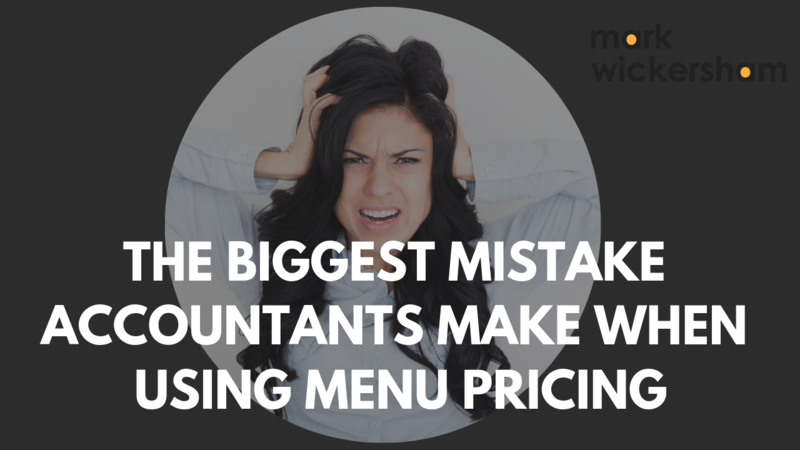 There is a big mistake people keep making with menu pricing. I think it comes from a lack of understanding of what menu pricing really means and the power of it. Menu pricing is giving people different choices, different options, bundles or packages. Sometimes it is referred to as bronze, silver and gold. Sometimes, it’s the good, better and best strategy. If you read the textbooks on pricing, it’s very often referred to as versioning. It works incredibly well. It’s so powerful. Occasionally, I come across accountants that tell me it doesn’t work. That leaves me intrigued, because all the research and evidence is absolutely clear that this strategy works. I’ve found that many people are doing it wrong. This is due to a lack of understanding, or lack of knowledge of how to build your packages and give people the right choice. The mistake people make is that they think of all these extra things they can do to add value but then they randomly assign them to the bronze, silver and gold packages. If you randomly build your different packages with no thought, what happens is that those packages don’t speak to any particular buyer. If they don’t speak to and meet the specific needs of a buyer then you are going to harm your chances of making the conversion. Firstly, you can use this process called customer segmentation. This means you think about your clients, about their different characteristics, and put them into different buckets, each one with a different set of characteristics. Then, having understood the different types of clients, you then build your packages to meet their very specific needs. If you are doing a bespoke proposal, you might know exactly what the client wants, so you think you don’t need to give them different choices. But you should. You should give them options if you want a higher price. We can do this by sitting down with the client and asking them questions. We want to understand what’s important to them. What do they value? We want to understand exactly what is going to help them and solve their problem, but we also need to know how much they are willing to pay. We have to give choices, because they might be somebody who doesn’t see a huge amount of value in what we do, so if they are given a high price they will reject it. But if we go in with a price too low, they might have been willing to pay more, so we’ve lost money. You need to give options. The best strategy is to make the middle option your most appealing option. Give them exactly what they want at a high price, and if they aren’t willing to pay that then they will choose the cheaper package with less value. Rather than losing their business entirely, you have given an alternative option at a lower price. Most people won’t even choose the lower option because it doesn’t have all the features they wanted. We have to think about what the client needs and cover that in the middle option. But there may be other things you can do to make their life even better. You build those extras into the most expensive option. Some people will go for the highest option. But if not, you still have a great result with your middle option. There is a science to menu pricing. It’s not just randomly putting a bunch of features together. There’s an art to it. 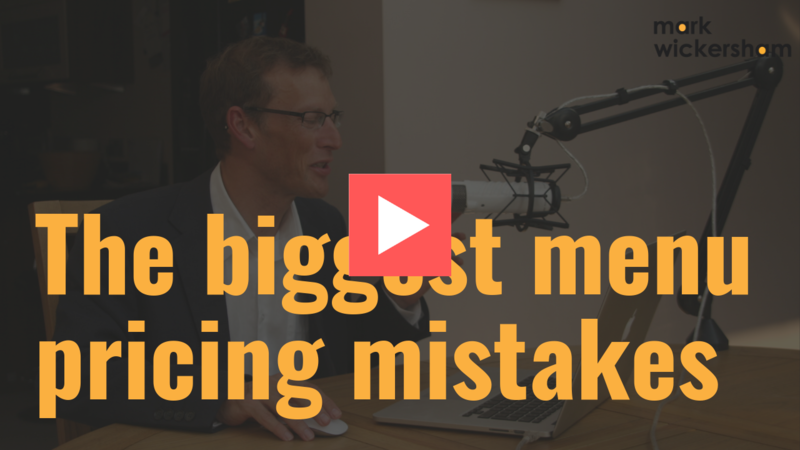 If you need more help in perfecting menu pricing I run free monthly online training sessions where I teach subjects such as this. You can join them and ask me questions to and I'll answer them there and then. Click here to sign up and I'll send you an invite to the next session. And if you would like to join a community of like-minded accounting professionals learning how to price more effectively and confidently, then you can join my Facebook group here.